Carved crest for civic chambers. Oak. Trafford Civic Hall, Greater Manchester. 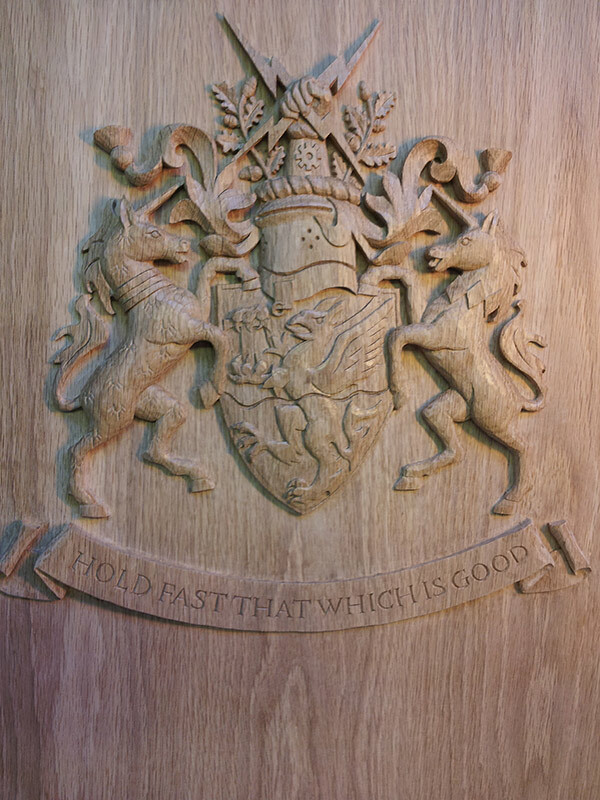 As part of a major rebuild of Trafford Civic Hall, I was commissioned by the main contractor to carve a crest for the Civic Chambers. The carving was inset into the oak panelling in the centre of the chambers.